Larry Osborne is a pastor’s pastor and a leader’s leader. He has successfully made and multiplied disciples in the same local church for over thirty years. Whenever he writes a book I read it; re-read it; and make sure my staff and leaders read it as well. Larry started with a small struggling church and has successfully developed multiplying disciples of Christ in San Diego and all over the world through their simple church model of assimilation and discipleship through their intentional and strategic implementation of small groups. In Sticky Church Osborne writes about a simple strategic process for developing a small group ministry that is extremely effective in assimilating attenders and new comers in the church and helping them become connected and committed to making and multiplying fully devoted followers of Christ for the long-haul. 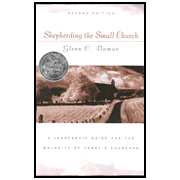 Part 1 is composed of four chapters whereby Osborne makes a compelling case for a simple model and strategy in developing a “sticky church.” A sticky church is a church where people “stick” or stay because they immediately become convinced and unified around the vision; and live out this vision in the context of a small group. In Osborne’s church in Vista, California (a suburb of San Diego) 80% of church attenders (over 7,000 adults) become committed to their small groups – what they call “growth groups.” The whole idea of “stickiness” is keeping people in the church (what he calls “closing the back door”) so that you have a high retention of attenders who stay and grow because they commit to a small group that’s committed to their growth as a disciple of Jesus Christ. “The best tool I’ve ever seen for connecting people to one another and engaging them with the Bible for the long haul is a sermon-based small group. It offers a format that fits the way we spiritually grow, while providing a framework for a healthy and sticky church. Nothing compares. “What you plan to do in your meetings?” The options are endless. But once I know what happens in a small group, I can predict with uncanny accuracy who will come and who won’t. There is a large appendix section in the back of the book containing helps for the following topics: (1) Writing Great Questions; (2) Sample Sermon Note Sheet and Study Questions; (3) Sample Growth Group Covenant; (4) End-of-the-quarter Evaluation Form; (5) Leader Training Topics; (6) Leader Responsibilities; (7) Host Responsibilities; (8) A List of NT “One Anothers.” The Last section contains a Study Guide of Follow Up Questions for each chapter in the book. Osborne’s model is simple; practical, proven, and effective. 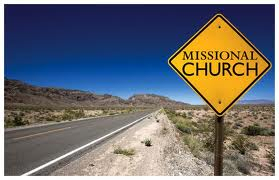 I don’t know of a better model for helping a local church reach out; equip; serve; raise up leaders; and unleash people for multiplying disciples of Jesus Christ. I have used this model in three churches; and now about to embark on launching this model in another church. I am grateful for it’s simplicity and yet the profound impact it has made practically in so many lives that I have been in community with. 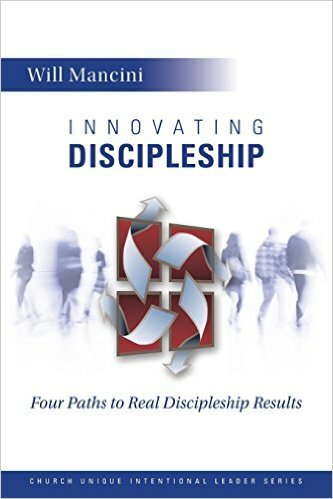 It has made a profound impact on my own belief that discipleship is done best in community and is a process not an event. As a church leader, you’ve probably noticed that when your assumptions are incorrect, you’re more likely to implement plans that don’t go anywhere. Why? Because what we’ve assumed to be true about the people in our congregations isn’t in line with reality. So, we’re forced to go back to the drawing board to determine what went wrong. Every pastoral candidate hears the search committee say, “We really want to grow!” Usually these comments are offered in good faith. The pastor is excited to know that the influencers in the church are committed to seeing the church grow. It’s easy to begin making decisions based on that information. Unfortunately, there are two elements that make this assumption wrongheaded. First, it may be true that some in your church want to grow, but it’s also possible that the majority simply say they want growth, but not at the expense of their preferences. Secondly, it’s possible that the church really does want to grow, but their vision of growth is different than yours. They see “good growth” as attracting tithing families from other congregations or established Christians new to the area. They aren’t necessarily passionate about seeing growth take place by reaching lost people far from God, and that makes them less likely to support your ideas of changing things in order to reach the lost. As a church leader, you are convinced that the Bible is the ultimate authority. When the Word of God is clear on an issue, we are called to respond with obedience. It’s easy to assume that everyone in your congregation has the same high view of the Scriptures. Unfortunately, it doesn’t take long to realize that there are some church members who, when faced with clear biblical teaching, will still choose to do what they want. I remember how surprised I was the first time someone told me they agreed that God’s Word was clear on an issue, only then to disregard His truth and go their own way. 3. Your church understands salvation by grace alone. Sociologist Christian Smith has coined the phrase “Moralistic Therapeutic Deism” to describe the dominant religious views of people in North America. Within this framework, the point of Christianity is to make us nice, moral people who find happiness in fulfilling our dreams and are rewarded with heaven after we die. The terminology of “grace” and “faith” can be incorporated into this essentially Deist understanding of salvation. It’s easy for people in our congregation to know in their heads that salvation comes through faith in Jesus Christ, but to act and speak in ways that reveal a different understanding: that good works bring good rewards. What are some wrong assumptions you’ve made in ministry? How can we help lead our churches to the point these assumptions are no longer incorrect? Trevin Wax is an author and the managing editor of The Gospel Project, a gospel-centered small group curriculum for all ages that focuses on the grand narrative of Scripture published by LifeWay Christian Resources. He blogs daily at Kingdom People. Michael Wilkins has defined a disciple of Jesus as one who “has come to Jesus for eternal life, has claimed Jesus as Savior and God, and has embarked upon the life of following Jesus.” His very presence in my life and his promise to never leave nor forsake me, encourages me to daily follow Him. At the heart of following Him is this undeserved relationship I have with Him. 2. 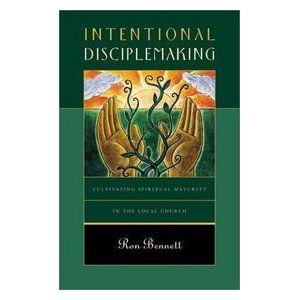 Discipleship is enabled and empowered by the work of the Holy Spirit who transforms us into the image of Christ. The Holy Spirit indwells and fills believers (Eph. 5:18), guides us into all truth (John 16:13), brings forth fruit in our lives (Gal. 5:22-23) and empowers us for ministry in the church and in the world. The Spirit is God’s presence in us (Rom. 8:11) to confirm that we are indeed children of God (Rom. 8:16) and to convict us of sin for the continuing process of conforming us into the image of Christ. Understanding the role of the Holy Spirit encourages the response of submission to His sanctifying work. The Bible is our authority in all areas of life. “If you abide in my word, you are truly my disciples, and you will know the truth, and the truth will set you free” (John 8:31-32). Consistent nourishment is a vital component of one’s spiritual growth (Psalm 1, John 15). Community with other believers is a vital part of our growth as disciples. We were made to be in fellowship with one another. Thus the imagery of the body of Christ portrays how vitally linked we are to one another. In such community we are able to fulfill the command of loving one another and with this community then to love the world. “The ultimate goal of the believer’s life is to be conformed to the image of Christ (Ro 8:29).” Jesus described a radical way of life in the sermon on the mount. In a world in which righteousness was very much regarded by one’s outward actions, Jesus emphasized the transformation of the heart. As the Holy Spirit works to transform the individual and change is made from the inside-out, the characteristics of God become evident in the believer’s life: love, joy, peace, patience, kindness, goodness, faithfulness, gentleness, self-control (Gal. 5:22-23). 7. Disciples of Christ who are in the process of inward transformation, yield to the Spirit’s leading in service and mission. Spiritual formation is both about the inward change of heart and the outward manifestation of that changed heart. Christ modeled the life of service for His disciples and commands us to serve in humility and love while proclaiming His truth in a lost world. As we live in a sin-cursed world, we bear the effects of sin on a daily basis. With the presence of Christ and the promise of future hope with Him, we are able to endure the pain and even be transformed in the process. Paul writes of this truth in 2 Cor. 4:17: “For this light momentary affliction is preparing for us an eternal weight of glory beyond all comparison.” God invites us to suffer for His sake, for living to honor Christ in a world that is hostile toward Him. In this, we share in his sufferings and bring glory to Him. Following Christ as His disciple means letting go of one’s own will and seeking the will of God in all things (Luke 9:23). Nothing must take the place of Jesus as the “focus of allegiance,” as Wilkins explains. In my own life, describing my faith and discipleship in terms of the journey metaphor has been vitally important on many different levels. As I come to different forks in the road, or experience difficult trials, knowing that Jesus is my trustworthy Master and Leader, is my sole comfort and motivation to continue in this journey of faith. We must continue to realize and endeavor to endure the trials of faith that come with renewed commitment to following Christ on a daily basis. 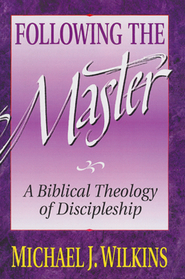 Michael J. Wilkins, Following the Master: A Biblical Theology of Discipleship (Grand Rapids: Zondervan, 1992), 40. Michael Glerup, “The Holy Spirit and Spiritual Formation,” in The Kingdom Life: A Practical Theology of Discipleship and Spiritual Formation, ed. Alan Andrews (Colorado Springs: NavPress, 2010), 251. Michael J. Wilkins, Following the Master: A Biblical Theology of Discipleship (Grand Rapids: Zondervan, 1992), 133. Michael J. Wilkins, An Outline Study Guide to “Following the Master: A Biblical Theology of Discipleship,” 69. Jeanette Hagan is currently a PhD candidate in New Testament at the University of Durham. Studying under John M.G. Barclay, she is writing her thesis on the relationship between Paul’s doctrine of justification by faith and the continuing participation a believer experiences in the death, resurrection and life of Christ. Previously, she studied English literature for her B.A. at Biola University while being in the first graduating class of the Torrey Honors Institute. In 2011 she completed her M.A. in New Testament at Talbot School of Theology. Her passion is training and equipping disciples to follow the Lord wholeheartedly. She has served in a variety of ministry capacities. Highlights include: organizing summer camps and humanitarian efforts for orphans in Ukraine and Russia, traveling 5 continents sharing the Gospel, helping to facilitate for theological and practical ministry training for believers around the world, and serving in a church plant in Whittier, CA. In her free time she enjoys reading, being outdoors in a variety of recreational capacities, playing piano, and mostly just spending quality time with family and friends. 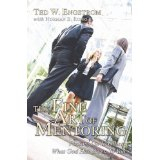 Dr. Ted W. Engstrom (1916-2006) dedicated his life to effective Christian ministry leadership. His 60 years of Christian service include careers as Christian book editor at Zondervan, president of Youth for Christ International, president of World Vision, and author of more than 50 books. He was a board member for dozens of Christian organizations and assisted religious and political leaders in 136 other countries where he stood as a model of godly leadership. Use their spiritual gifts effectively (1 Cor. 12:12-13). Godliness (1 Tim. 4:12; 6:11). Value of spiritual generations; spiritual heritage (3 John 4; 2 Tim. 2:2).